Making it easier for friends of Optus to buy their own device. For the past five years, we have been helping Optus deliver a eCommerce platform that helps corporate partners' employees buy their own mobile devices. Australia's number one telecommunications provider, Optus is focused on creating purchasing solutions that benefit its corporate partners, as well as its consumers. As part of its focus on creating a rewarding and satisfying workplace, Optus offers its people - and members of partner organisations - certain discounts on their mobile devices and plans. However, the process for redeeming these discounts was previously quite difficult. It involved printing and completing forms offline, and manual entry into an online system. The process was time consuming, and there was a high risk of error. 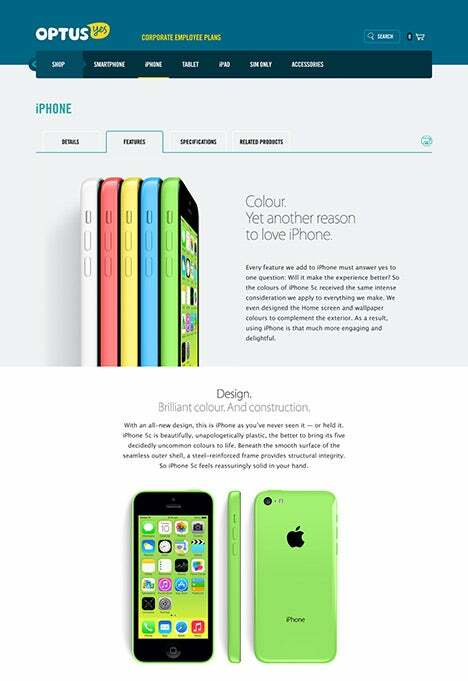 In 2013, we worked with Optus' marketing and IT teams to create the Online Employee Shop - a website that allows Optus employees and partner companies to quickly, easily and independently buy their mobile devices. Together, we designed and developed an entirely new system to make the process smoother, faster and easier. Employees (both of Optus and partner organisations) login using secure employee details, apply for their device and plan, and then complete the ordering process in just a few simple steps. Orders are fulfilled automatically, meaning they happen much faster, without the extra administration. The Online Employee Shop has been a successful and ongoing initiative.. 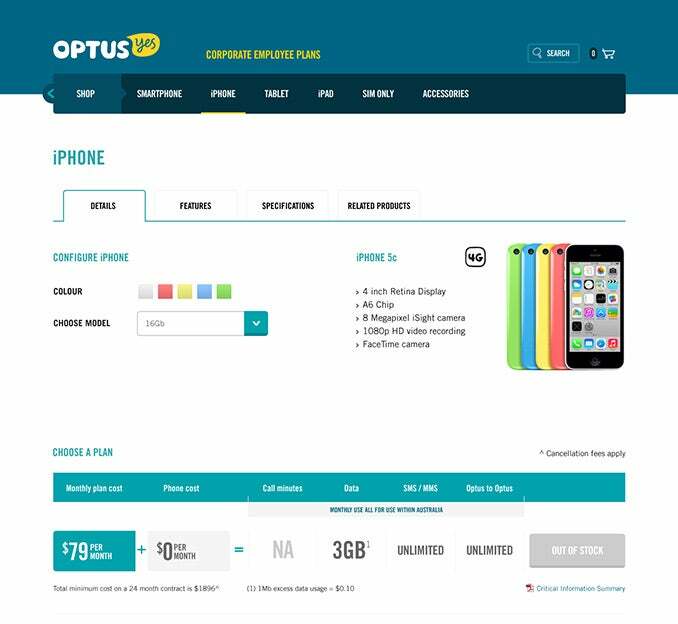 In late 2014, when Optus underwent a rebranding exercise, we worked with Optus to enhance the shop's user experience, visual design, and extend its functionality.